Yes, the dog. I’m talking about the dog. One faces a dilemma in reviewing movies like John Wick ( and there are so many movies like John Wick that you could spend the rest of your remaining earthly days scrolling through Netflix’s Action/Adventure suggestion queue and never watch half). There’s the argument that every film deserves to be examined for artistic merit and even rancid pieces of boar offal like John Wick which critics are, for some inexplicable reason, lauding; thus warning the general public away – a sort of bio-hazard sticker for the Blu ray case. On the other hand, there’s the argument that the more attention we pay to films this bad may encourage “film makers” to make more. Sort of like why they don’t show fans who run on to the field at professional sporting events on the televised broadcast. I just spent 150 words arguing with myself over the issue and it took me 45 minutes because I kept spacing out and nodding off thinking about this horrifyingly bad film and trying to find something to say about it. I’m leaning toward a simple “Mr. Yuck” style sticker for the Blu ray. How this film has a 7.9 rating on IMDB leads me to believe that 2014 has movie critics so bored and angry that they’re just screwing with people at this point. This sends the entire criminal underworld into a manly tizzy because John Wick was, until he killed a stack of people you could see from space to “get out”, the Russian mafia’s go-to person for going to people and making them no longer persons. The rest of the movie is like a smoothie of action movie clichés from any and every movie you can think of in the last thirty years. The Russian mob sends men at John; John leaves behind a trail of human debris so thick that they had to create a character just to explain how they were all being cleaned up. I hate to say nothing good about a movie, so I will say I thought the Hotel Continental, a members-only hotel where assassins stayed during jobs in an oasis of understood peace was a fun idea. The only enjoyment I took from the film were the hotel staff’s interactions with its guests. 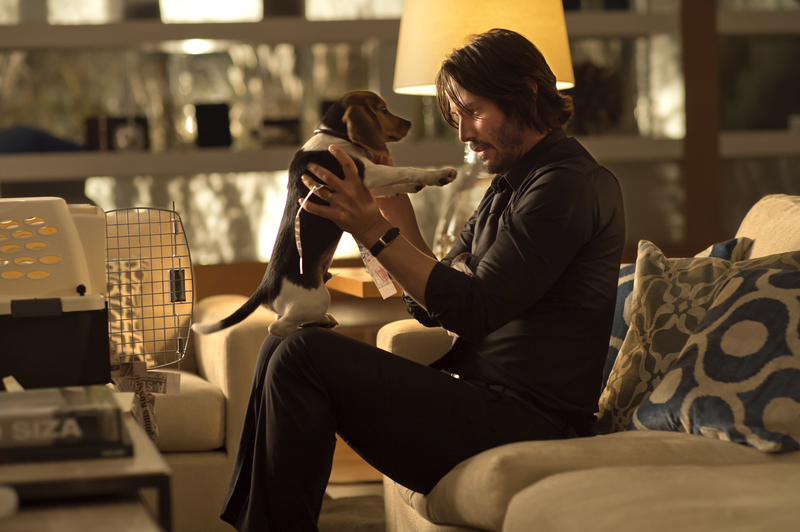 It ends with more shooting and more bodies until there are no more bodies left but John, who then selects a new puppy and walks off into the night. Oh….spoiler. This movie was noise. It was a lazy exercise in stupid and senseless plot and violence that couldn’t have been good with a real actor in it. Keanu Reeves is not a real actor. He cannot act. Don’t get me wrong. I’m a dog guy. I have two dogs and I love them. If someone killed my dog, I would rain hellfire down on their heads and salt the earth. But I’d do it with some damn charisma. My friend and I debated whether to go see this or Fury. We settled on this one because of the reviews. Big mistake. It bored me out of my mind, but as I was watching it something else started to happen: I got a creepy feeling. And I am never disturbed by movies, ever. Fury on the other hand, when we finally saw it, was filled with cheesy WWII movie cliches, but the acting was incredible. The centerpiece of the film isn’t even a battle, it’s a half-hour long dramatic scene set in an apartment. Modern war films continue to prove the worth, utility, and lasting impact of Saving Private Ryan; war movies are simply better when the violence is realistic, and there is at least one devastating moment in Fury that would not have been the same if punches had been pulled. Fury is a deeply moral movie, a film that sees no conflict between the horrors of war and patriotism. Why am I talking about Fury when Dave’s review was about John Wick? Because Fury is a full ten percentage points behind John Wick on Rotten Tomatoes. The choices we make about what we put into our heads matter. Don’t just mindlessly go along with the fashion of the times. Take a stand. I am standing and clapping (I’m so not; was up all night channeling grief anger into orc slaying on the Xbox). You are absolutely correct. The critical consensus is moving away from rationality is a scary way that makes me wonder if sites like IMDB and Rotten Tomatoes have been compromised by paid studio plants. Because how this ended up in the 80% range blows my freaking mind. Anne Hathaway’s speech about love in Interstellar might have been handled in an inelegant way, but I’m pretty sure the film is working from the premise that what she says is literally true: love is a force that moves the universe, like gravity. Why did the “aliens” choose Cooper? Probably because he was the only member of the crew with actual ties to people on Earth. Children (gasp) need their fathers. Family is what holds us together as a species. And yet it’s easier for a lot of people to wrap their minds around Keanu Reeves dispassionately slaughtering people in a film with no character development or dramatic tension. Can you believe there are actually people complaining about the performances in Interstellar? Saying that Interstellar is derivative? 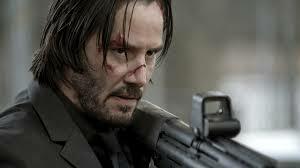 From now on I’m going with my gut, because my gut told me not to see John Wick, and I allowed it to be overridden. I don’t know, it sounds so funny I want to watch it now. It would have been more funny as a rental so I’d definitely suggest you take in this puppy vengeance epic in that format lol.